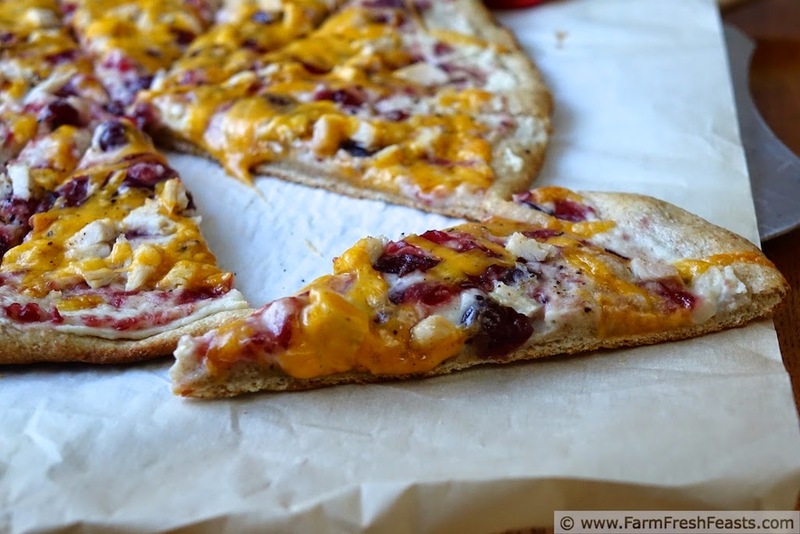 Thanksgiving leftovers as pizza toppings--mashed potatoes and cranberry sauce dotted with turkey and topped with feta and cheddar cheeses. I'm going to share two Thanksgiving Leftovers Pizzas this month. One is for folks who don't want to make a special pizza dough, and the other is for folks who are game to try another of my new concoctions. Let's start with the easier one. 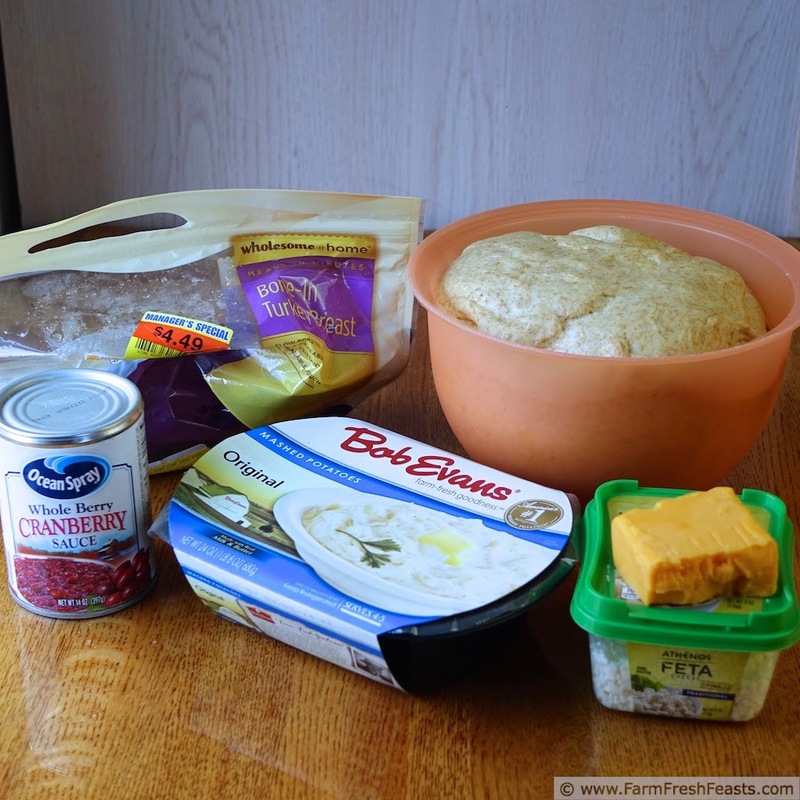 I knew I wanted a layer of mashed potatoes as the base, and after Thanksgiving I made several attempts using my Make Ahead Irish Mashed Potato Casserole. But none of my efforts with actual Thanksgiving leftovers really thrilled me, so I waited until I saw some turkey marked down, threw some other sides in my basket, and tried again. For this particular combination I made 3 different pizzas--one without any cheese, one with cheddar, and one with feta. The pizza really needs cheese [this Beef & Broccoli pizza works without cheese, though]. I found I preferred the duo of feta and cheddar together. You know, I don't think I'm going to type any more on this post. 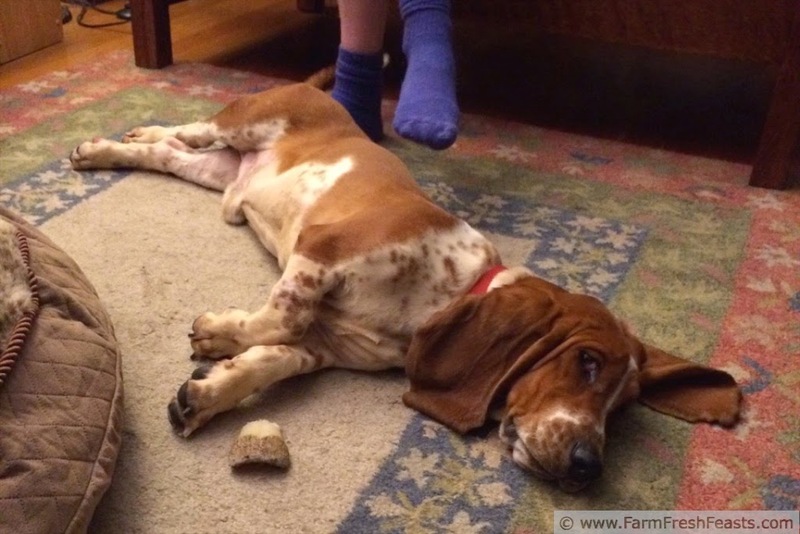 As I sit typing it up our newest addition, Robert Barker, is resting at my feet for his first night in his new home. I will share more of his story as I get to know him, but it's enough to say that he needs TLC more than I need to prattle on about pizza. Preheat oven to 425 degrees Fahrenheit or what your pizza dough desires. 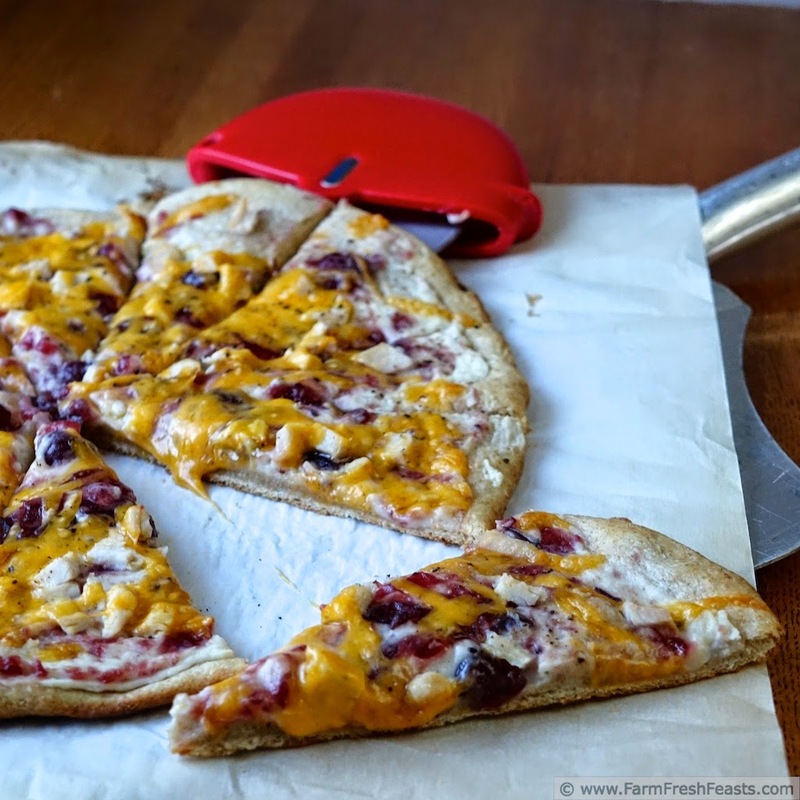 If you've got a pizza stone, toss that sucker in the oven to preheat. If you don't--wish list!! 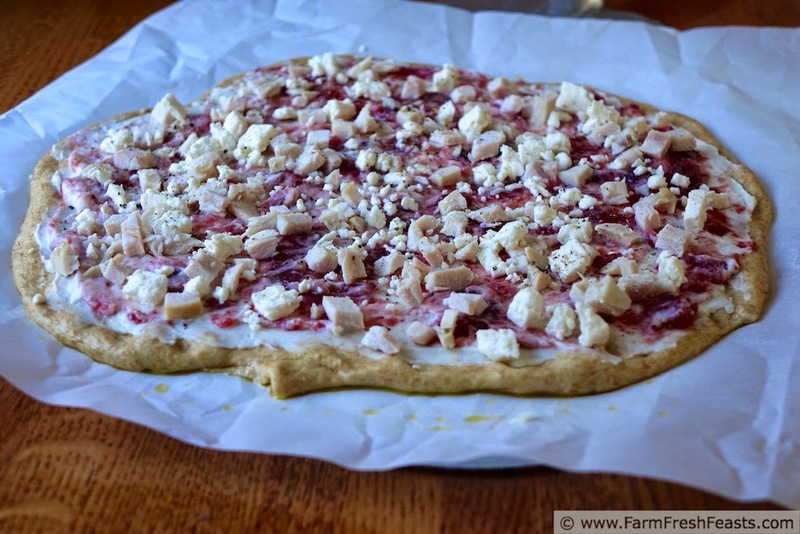 On an oiled piece of parchment paper, [honestly, it makes pizza making so easy] press dough into the shape that pleases you today. Brush crust with olive oil, the spread mashed potatoes in a thin layer across the top. 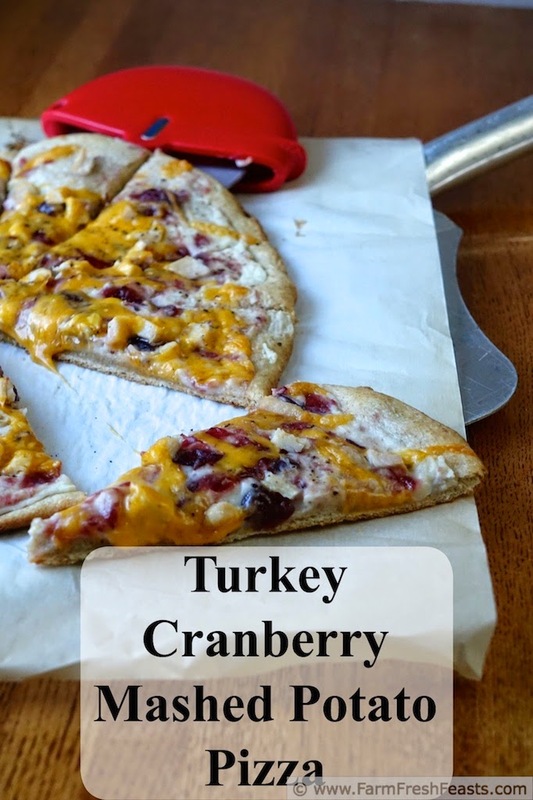 Spread cranberry sauce over mashed potatoes, then top with turkey and cheeses. Sprinkle a healthy pinch of salt and several grinds of pepper over top. Place on stone in preheated oven and bake 5 to 8 minutes. If you don't have a stone, use a cookie sheet. It'll be fine. 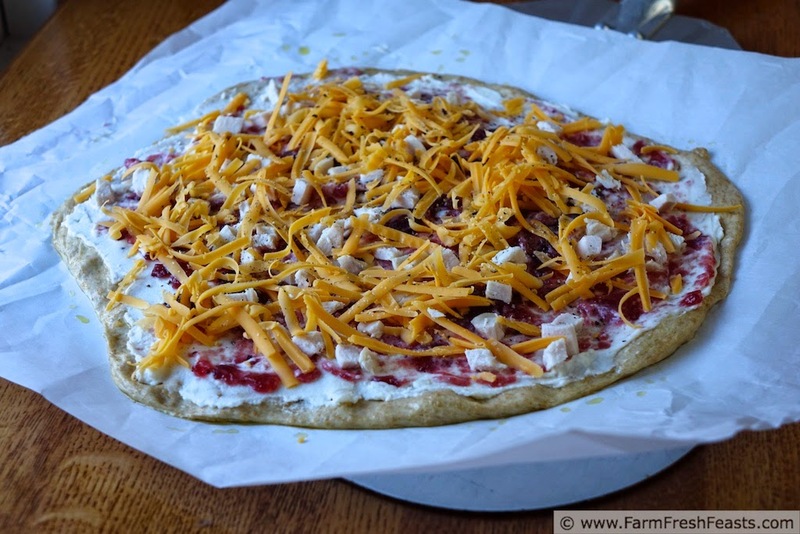 Shimmy the parchment paper out from under the pizza and bake directly on the stone or cookie sheet another 3 to 5 minutes until the cheese is bubbly and browning at the tips. Slice and serve. You enjoy that pup. Give him a puppy dog kiss from me. You have no idea how much I'm enjoying him. He's delightful.